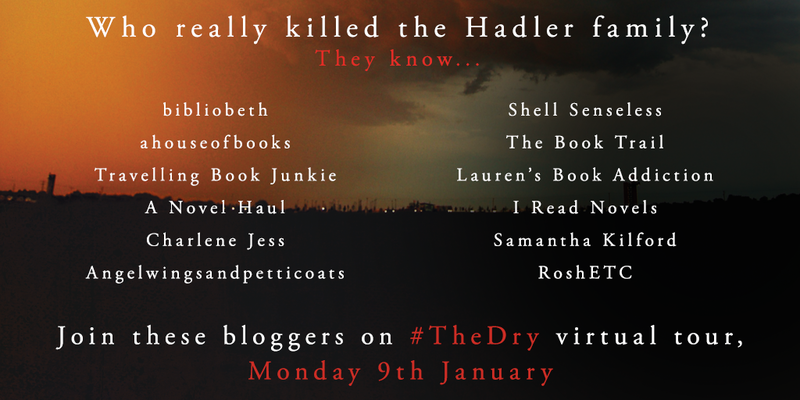 The Dry by Jane Harper is published in hardback in the UK this week, and I was delighted to be asked to take part in a blog tour to celebrate the upcoming publication. And I’m even more delighted to say that I loved this book! Read on to find out more and read my review. The tension in this novel builds up really well, and you get a very good sense of a small town suffering its worst drought, with tensions and temperatures running high. I really liked the depiction of the small pub where Falk stays, which seems to be populated by blokes out for a fight – and many of them seem quite happy with their new target with the reappearance of Falk to town. The flashbacks are done really well, with just short snippets throughout the book instead of long sections, meaning we get hints of the past and a few different viewpoints, but without it taking over from the current story. I liked the way the two cops formed an unlikely bond and worked together to try and build up a bigger picture of what had happened on the fateful evening that three members of the same family lost their lives. Great review! I loved this book for many of the same reasons as you did. I thought Falk and Raco were a perfect team and I appreciated a well told story without the author trying to put in unbelievable twists etc. Thank you – I’m glad you enjoyed it too! 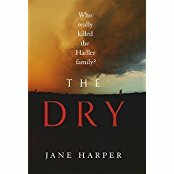 I don’t often read this genre but was intrigued to read The Dry at the end of 2016 and thought it was excellent, I liked the way the author slowly revealed more and more of the events of that day in the past that their childhood friend died. We knew Luke’s death was going to be attributed to someone and everyone was a suspect, but that double intrigue of what happened 20 years before and Falk’s knowledge, made it all the more of a great tale I thought. She really evoked the sense of place and the effect of the drought well too. I’m glad to hear you enjoyed it too – especially if it’s not usually your thing. I agree that it was really cleverly written and the tension built up perfectly. This sounds like a really good read. I read a lot of crime but agree sometimes the twists are really forced so I’m intrigued by this book. Great review, thank you. Check it out! It’s got strong characters, and a great setting too. I hope you enjoy it if you do get around to reading it.